If you are experiencing the symptoms of a UTI, you can find the prompt treatment you need at STAT MED Urgent Care. Our conveniently located immediate care centers serve adults and children from Dublin, Livermore, and surrounding communities in Northern California. Visit us today; we never require appointments and are open every day – even holidays! You can also take advantage of our convenient online check-in system that allows you to save your spot in line from the comfort of your own couch. If left untreated, a UTI can spread to the kidneys and cause additional symptoms that may be more difficult to treat. 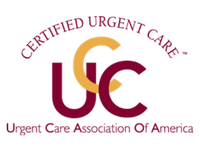 STAT MED Urgent Care’s physicians and medical professionals provide in-house diagnostics and streamlined treatment to patients with UTIs. Many UTIs can be resolved with a round of antibiotics, which our practitioners can prescribe. We may also suggest self-care measures to relieve discomfort while the antibiotics work, and recommend helpful ways to prevent infections in the future. Don’t delay the UTI treatment you need. Stop by STAT MED Urgent Care today. We are in network with most major health insurance providers and offer convenient payment plans to residents of Livermore, Dublin, and communities throughout San Francisco’s East Bay.